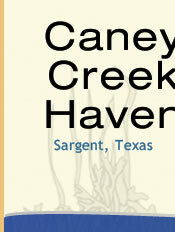 Your Caney Creek Haven Club Civic Committee is looking for volunteers to serve on its Board of Directors. New directors will be elected at this years' General Meeting October 20, 2018. If you are interested in serving on the board, please click the "CONTACT US" link on this webpage and send your contact information. A Board Member will contact you with details. MAKE A DIFFERENCE IN YOUR COMMUNITY! BECOME A BOARD MEMBER! Drop your "bagged" aluminum cans at the Sargent Fire Station. Proceeds from recycling these cans to to the Sargent Library.